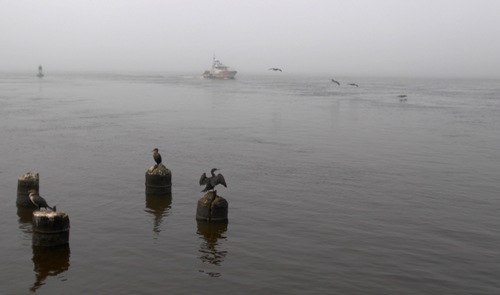 That column was more “anecdotal seamanship”. But, within our series on the COLREGs, this one is more scholarly. In short, if there isn’t a Rule for it, it doesn’t exist! Hope this helps keep you cool! 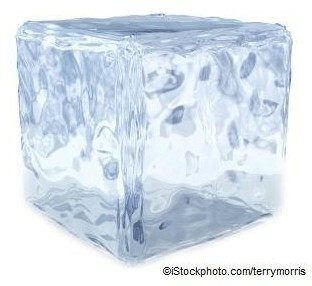 A recipe for making ice? Is that really necessary? We’re not that dumb, are we? Well, I was – at least when it came to making block ice. I've had some absolutely spectacular displays of things that can go wrong - so I thought I'd pass along what I've learned. 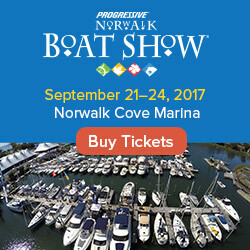 This weekend's boating events include boat shows and festivals across the country, and a couple of charitable cruises in the Northeast. It's time for this week's nautical event round-up! 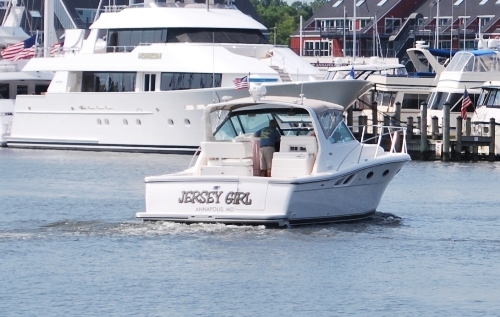 Coming up with a name for a boat can take years of thought and debate. It is often more difficult than naming a baby. 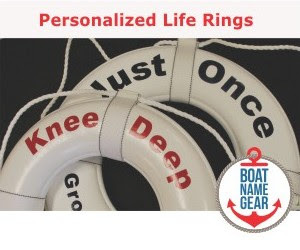 With this in mind, our sister publication FirstBoat has offered boat naming resources for several years, and they just came out with their first ever top ten list of tips to make naming your boat easier. a. Slowly reverse, keeping him in sight at all times. Stop within five feet and allow him to swim to the side of the boat. b. Stop the boat. Allow him to swim to the side and slowly pull him to safety. c. Stop. Slowly turn the boat around and approach while keeping the passenger in sight. Shut off the engine and then bring him to safety. 3). Fill in the blank. A ________________ will stop a propeller should the driver of a boat be thrown overboard or pulled away from the boat's controls. 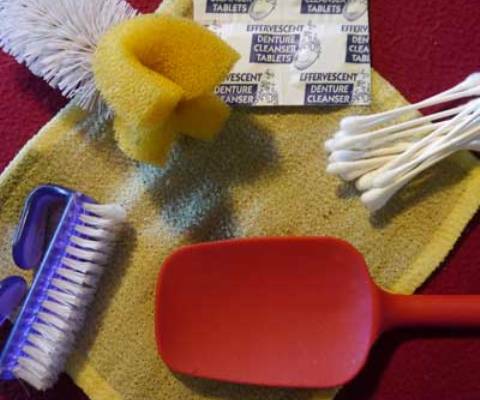 It was as if the United States Coast Guard read our minds, or dare we say it, our blog, when they sent us this quiz and article. 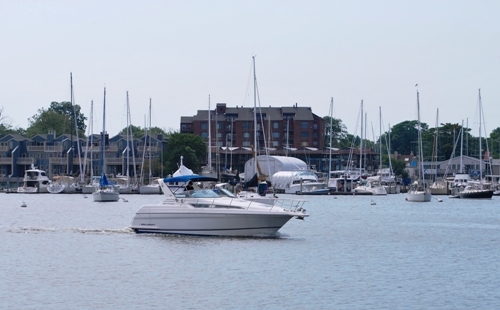 It was only a couple of weeks ago when we ran a post on our sister site, Northeast Boater, about what seemed like way too many propeller injuries in New England within a short few days in early July. 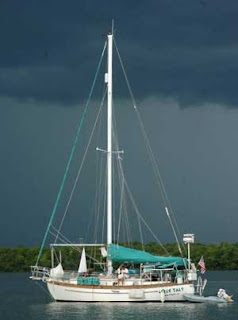 As the almost-daily thunderstorms moved in over our anchorage, we prepped the boat, securing the dinghy motor to the rail and hoisting the dinghy, closing the hatches and ports, taking down the laundry, wind scoop and US flag, checking the anchor and snubbers... and throwing all the electronics that would fit into the oven and microwave. Huh?? 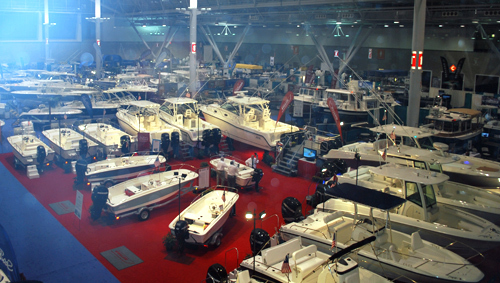 This weekend's boating events include boat shows and festivals in Texas, Florida, Oklahoma and more. 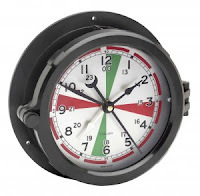 In the latest installment of the Daily Boater's weekly Marine Product Review, Mark Sutton of MarineProductReviews.com takes a look at a “timeless” piece of maritime history in Chelsea Clock. 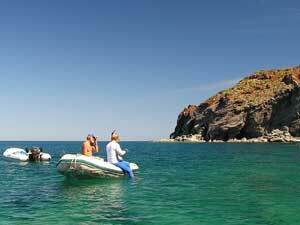 Maybe you went snorkeling with friends from another boat. Or possibly a hike. Or they just stopped by. 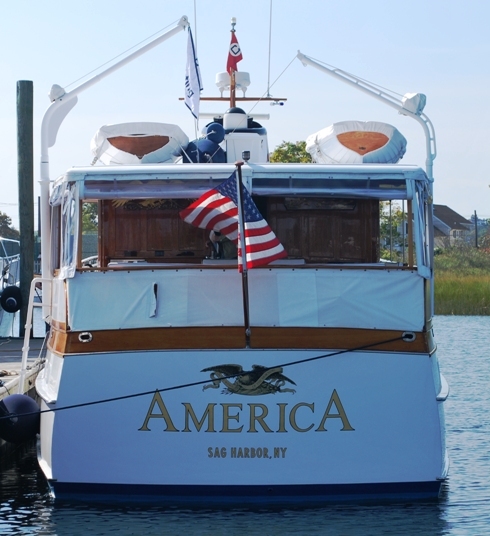 Boating is a very sociable lifestyle, and you want to offer your friends something to eat. But you hadn't really planned the occasion and now you need something RIGHT NOW! Rule 16 means – Just that. If you are the give-way vessel, telegraph your move to pass well clear. 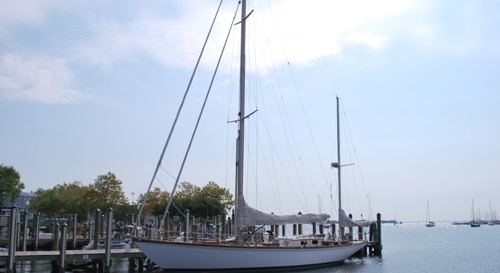 But Rule 17 has some subtle nuances that, in failing to understand them, may in fact lead to more collisions at sea than people recognize… Call it what you will – but getting into a collision at sea because you thought you had the “right of way” is just plain dumb, bad seamanship and potentially fatal. With the 4th of July falling on a Wednesday this year, we really sort of have TWO 4th of July weekends. 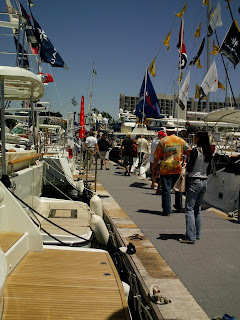 This one coming up is the 2nd one, and there are a few events to tell you about, including boat shows in Cabo and New York, and tall ships in New England. 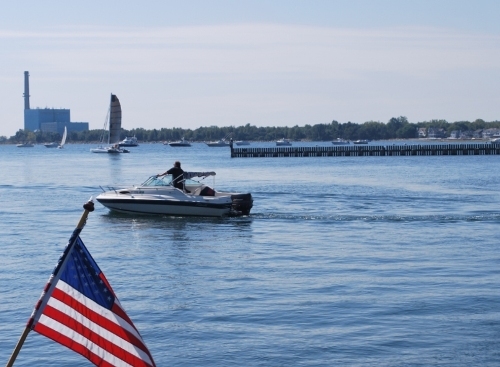 We ran these tips last year to help boaters enjoy watching fireworks from the water - one of the best seats in the house - and they of course still hold true this year, so we thought we'd share them again. Late this evening in Galway, Ireland, Groupama crossed the finish line in second place for the ninth and final leg of the Volvo Ocean Race, securing an overall victory for the team with an insurmountable 24-point lead. Camper finished first in the final leg with enough points to earn an overall second place finish in Volvo (so long as they show up for the final in-port race on Saturday.) Puma finished third in the 9th leg, and will also likely rank third overall when all is said and done. 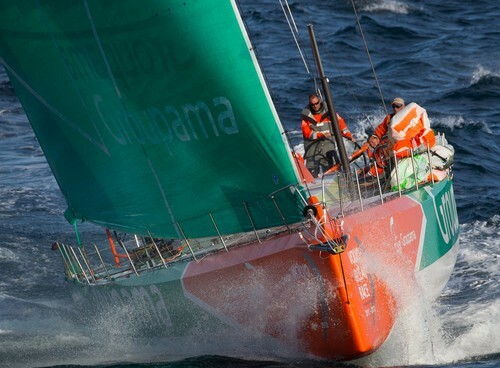 Groupama, skippered by 39-year-old Franck Cammas, is the first French team to win the Volvo Ocean Race since Lionel Péan skippered L’Esprit d’Equipe to victory in 1985-86. After the victory, Cammas was quoted as saying, "This is an incredible moment for me. It was always my dream just to participate in this race. The first book I ever read was about the Whitbread. It has been an incredible day for me and it hasn't sunk in yet." 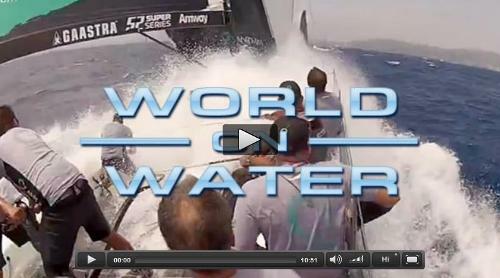 The race originated in 1973 as the Whitbread round the World Race, and was re-badged Volvo Ocean Race in 2001. 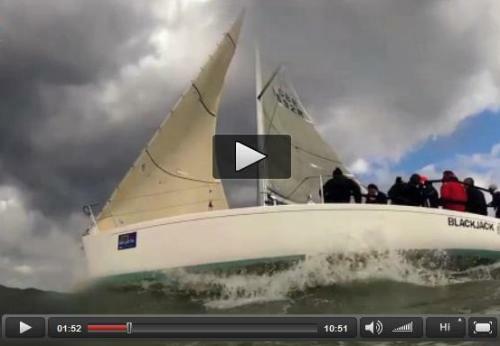 Congratulations to all the Volvo competitors on completing an exciting and competitive race.